This blog previously reported on the massive aftermath of Hurricane Sandy, the superstorm that devastated the East Coast at the end of October. Millions were left without power and thousands of homes and businesses suffered from flood damage. Some experts believe that even after repairs are made, a long-term recovery will be needed for the housing market. Furthermore, with many individuals trying to bounce back from "Frankenstorm," lenders could see an increase in requests for loans. Using personal loan software will help determine an appropriate payment plan for each borrower. That way, neither side experiences any further negative financial effects. As reported by Reuters, lower Manhattan office building values will likely suffer because of Hurricane Sandy. Major real estate executives discussed the issues at the New York University Schack Institute of Real Estate Capital Markets in Real Estate conference on Wednesday. "I think there's been value erosion downtown," Howard Lutnick, chairman and CEO of Cantor Fitzgerald LP and BGC Partners Inc, said at the conference. "It had just started to come back. 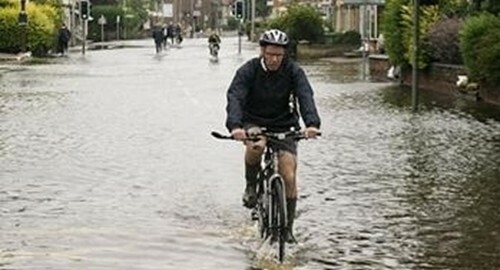 The concept now of fear of flooding is going to affect values." Darcy Stacom, CBRE Group Inc vice chairman, agreed, adding that the destruction and prolonged building closings and heating and electrical interruptions will take their toll on property values. Investors are especially likely to think about that issue when they look at buildings in hard-hit areas. Residential properties were also severely damaged, which has caused the Federal Emergency Management Agency (FEMA) to send manufactured housing into areas in New York and New Jersey that were hit hardest. FEMA Administrator Craig Fugate told the Wall Street Journal that the agency has several hundred mobile homes in its inventory and has started moving them to the disaster zone. In addition to loan management software, lenders should use an amortization calculator to create adequate monthly payment plans for borrowers as they attempt to recover from the aftermath of the hurricane.